The rising popularity of craft ales has prompted a significant rise in the number of craft breweries plying their trade across the UK and Scotland. As such, demand for automation in breweries has also increased, in a bid to improve efficiency and streamline brewing processes. In this essential guide, BM Engineering outlines the benefits of brewing equipment and clean-in-place (CIP) equipment from industry-leaders Bürkert and Inoxpa. With a self-confessed passion for beer, brewery applications have become a focussed product area for Bürkert. Combining artisanal craft brewing techniques with automated brewing equipment results in the production of the finest ales and beers. The secret ingredient to this winning formula is their Bürkert’s ELEMENT series of valves. Bürkert ELEMENT valves are specifically designed for the brewing industry, providing ultimate reliability and a robust design. This range has a particular focus on reduced downtime and energy efficiency, rewarding clients with top quality results. 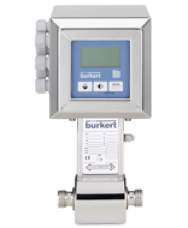 Clean-in-place (CIP) equipment showcases Bürkert’s expertise in providing solutions for the cleaning and sanitising of food contact surfaces. In particular, the Bürkert ELEMENT actuator type 2301 was made to fulfil tough criteria for process environments, such as breweries. If you are a Scottish brewery looking for equipment that provides the highest levels of process reliability and energy efficiency, Bürkert is the ideal choice. Although Bürkert caters brilliantly for breweries in the UK, you might also like to consider our other brewing equipment experts, Inoxpa. Breweries looking for equipment can be assured are in safe hands with these experts of equipment. Inoxpa provides a wide selection of process automation solutions, which are well suited for the particular processes and applications found in brewery environments. They have a range of CIP equipment, valves and fittings that all work towards maximising brewery efficiency. However, it is their range of pumps that we’ll be focusing on here. If you are looking for a suitable pump to use for CIP return, the Inoxpa Side Channel Pump ASPIR is specifically designed for pumping materials containing air or gas, such as craft beer. For those looking for a solution for the transfer of liquid in breweries, the RVN centrifugal pump allows for a gentle and clog-free transfer due to its helicoidal impeller. If you have a thirst for brewing instrumentation products in Scotland then take comfort in the fact that BM Engineering works alongside our clients, in order to fully kit out breweries with the correct valves for specific environments. We have extensive experience of providing some of the biggest names in the industry with first-class turnkey valve and actuator solutions. Whether you need an automated brewing system for a microbrewery or a larger scale operation, we can create a unique, tailored solution to suit.